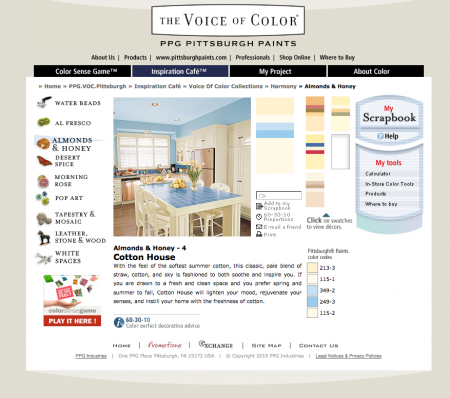 I read about this in American Patchwork & Quilting: an online Color Sense Game sponsored by Pittsburgh Paints. I played the game, so much fun! Almonds and Honey! Really? Then I clicked on some of the accompanying palettes to see what they would look like in a room. Yeah, that’s pretty much exactly what I painted my house in Ohio. 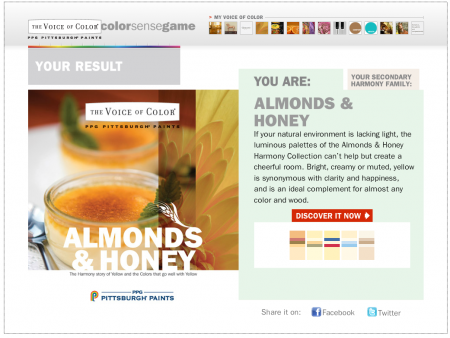 I’m an Almonds & Honey! Go see what you are! 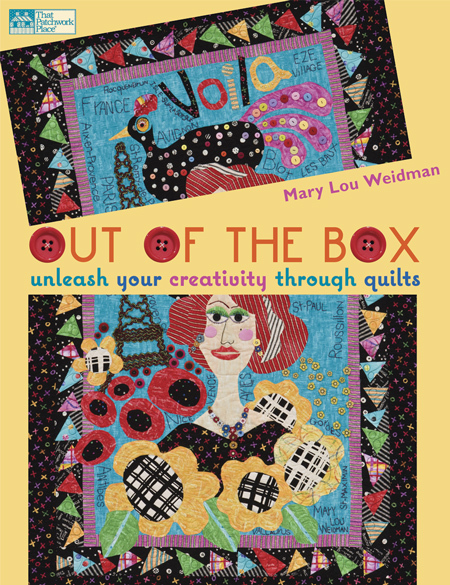 In other news, this coming Monday afternoon I’m going to be a guest on American Patchwork & Quilting Radio, hosted by the wonderful Pat Sloan! I’ll remind you again before then, just wanted to give a quick heads-up. Pat is so much fun to talk to… she’s fascinated by everything and makes you feel so welcome. 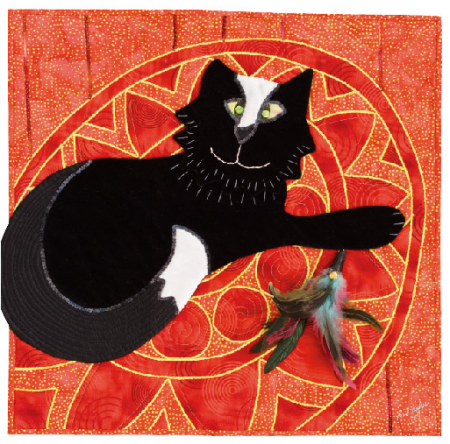 A couple of years ago I blogged about Sheril Drummond’s quilt Remembering Barbaro. 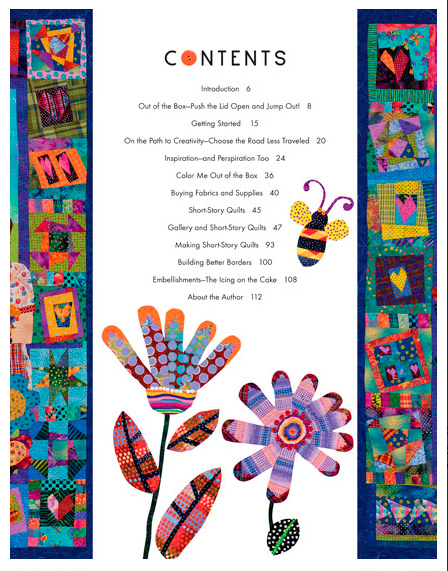 I checked Sheril’s blog Serendipity and was delighted to learn that she is now offering patterns and on-line classes to help others achieve the stunning look of her quilts. While you’re there be sure to send virtual scritchies to the Cavalier King Charles spaniel :). 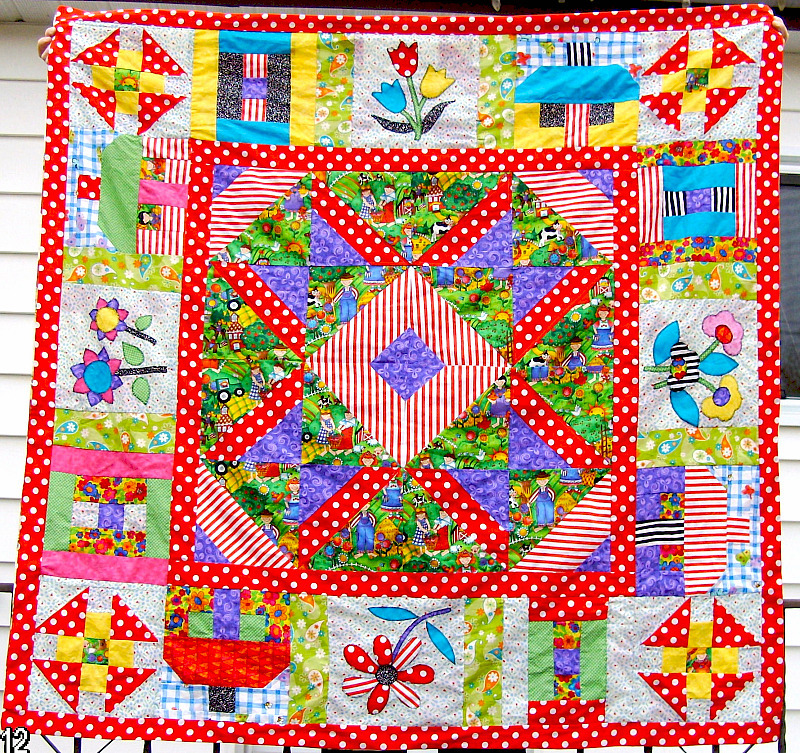 Daily blogger Pat Sloan put up a post showing some of the antique appliqué quilts that were displayed during Festival in Houston. They are so amazing. My favorite quilt is usually the one I just started :) but if I had to pick just one, I’d have to say that it’s my Sixteen Baskets. In many ways I think this is my best work. It’s hand appliquéd, back during the time that I favored the freezer-paper-template-on-top method (before I learned back-basting). 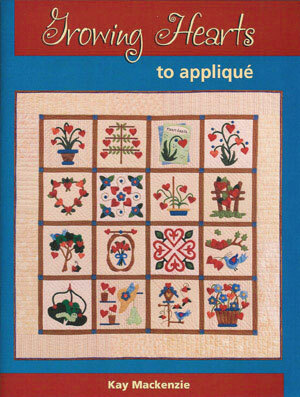 The tiniest motifs are machine appliquéd or hand embroidered. 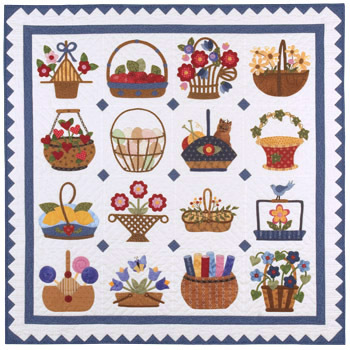 Each of the blocks is my original design… they’re published in my book Baskets to Appliqué. It was an exciting, emotional, fulfilling process developing the concept for each basket, and I still remember that time…. the mischevious kitty, the fat quarters rolled up, the nod to Baltimore, the pastel eggs inspired by Janet’s chickens who gave us eggs exactly those colors. This quilt is also hand quilted. I took a picture that’s unevenly lit on purpose to try to get the quilting to show up. 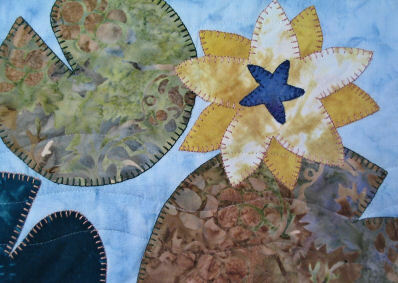 I love hand quilting and don’t get the chance to do it as much as I used to. So that’s my favorite quilt. 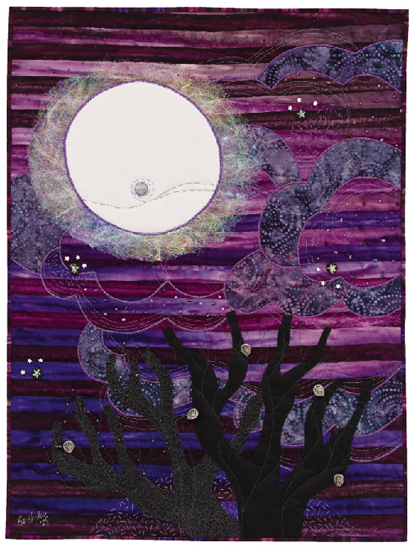 Thanks for visiting to see my entry in the Bloggers’ Quilt Festival! 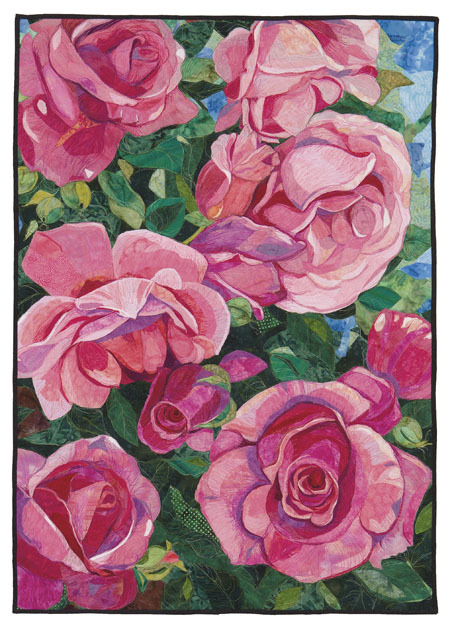 Visit Park City Girl every day through April 24 and get a ringside seat for other bloggers’ favorite quilts! It’s quite a show! 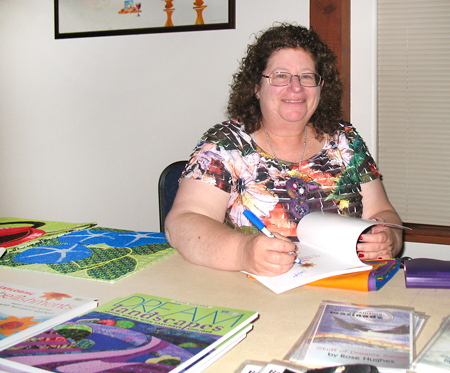 Congratulations to Kim B., who won my prize from Pat Sloan’s Orange Pile Challenge blog hop! 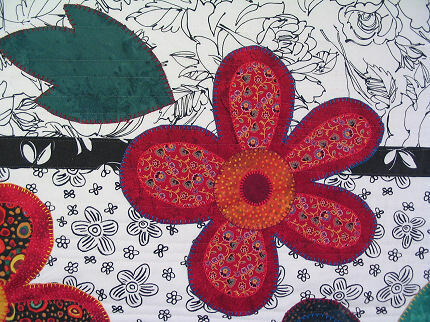 In addition to Growing Hearts to Appliqué, I’m throwing in a half-yard of that fun Pat Sloan fabric. 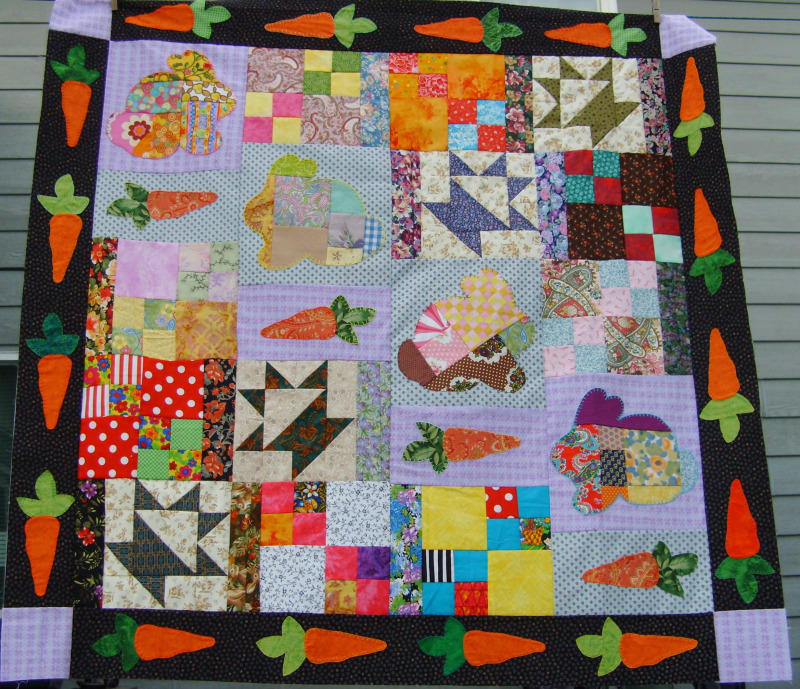 For all you hoppers, through March 31, 2009, receive 25% off Growing Hearts over at quiltpuppy.com. Enter the coupon code ORANGE in the shopping cart. 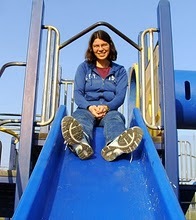 Today I’m ruminating about the color orange as part of Pat Sloan’s Virtual Weekend Retreat and OP Challenge. What’s an OP you might ask? Orange Pile! 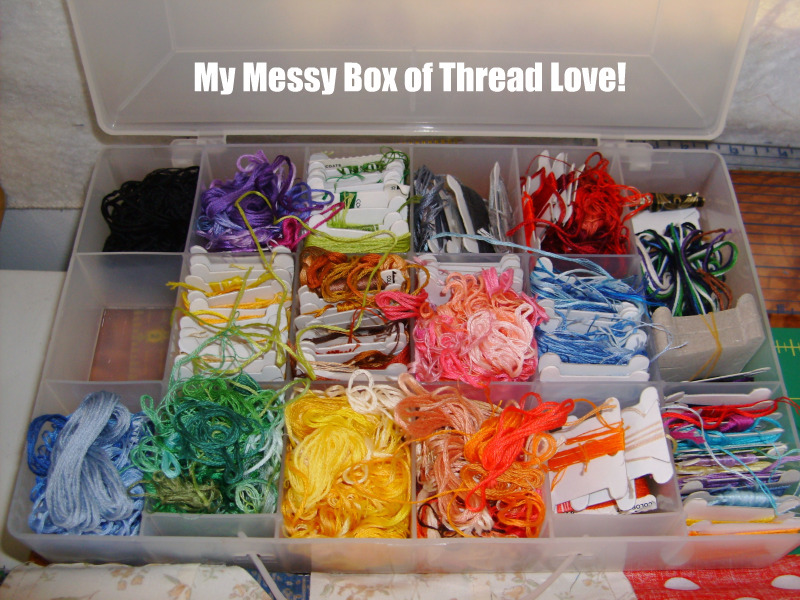 Your pile of orange fabrics from your stash! There’s a blog hop going on with prize giveaways, a free block pattern, photos of work in progress, and a tutorial. Click the OP logo in the left-hand sidebar and you’ll find out all about it. What’s orange in nature? Lots of things. Oranges. Tangerines. Papayas. Pumpkins. Carrots. All of these grow with green leaves, so it seems that green goes with orange. However, to me, an orange and green combo just always has a “food” connotation, like food-service industry. California poppies. 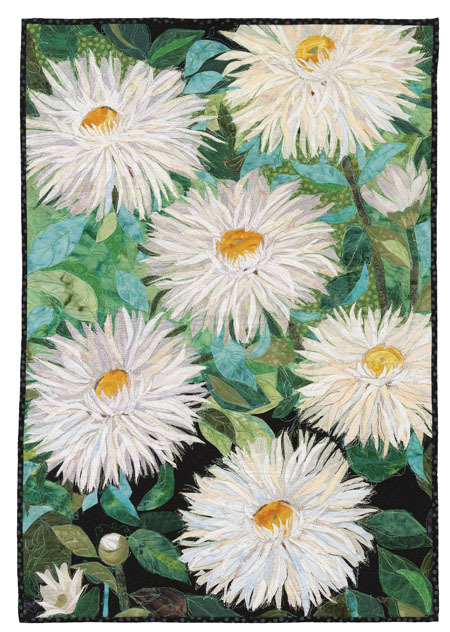 Chrysanthemums. Nasturtiums. Still with the green leaves, but commonly pictured against a blue sky. Orange and blue… a nice combination. Ginger tabby cats. 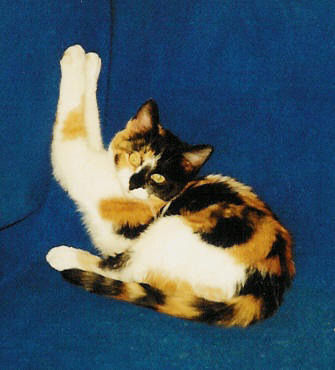 Parts of calico cats. Pomeranians. Monarch Butterflies. Orange and black, besides being two colors in the classic calico triad, just means Halloween. Orange and brown occur often together in the coats of animals. A touch of orange is fantastic for depicting critters. 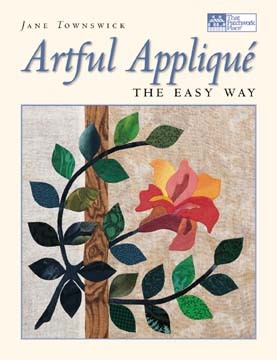 Go see the giraffes on the home page of appliqué artist Nancy Brown’s website. I happen to like orange, and when I say that I mean in my stash and in my quilts. Supposedly I can’t wear true orange, me being a ‘classic winter’ and all. But when I really think about it, orangey-red is really one of my favorite colors! 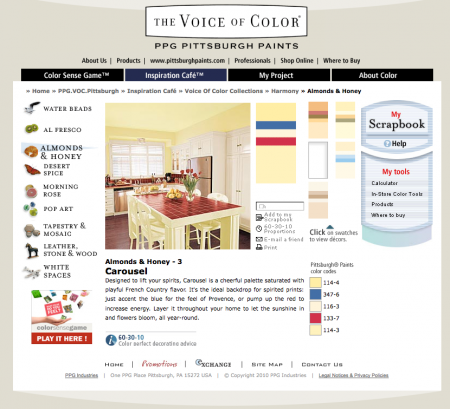 Witness the color scheme for this blog (which I designed myself). My car is ‘red-orange metallic.’ I’m far more drawn to the orange side of red than the purple side. I try to pull a splash of orange into my appliqué whenever I can. Here’s my improvisational, scissor-cut wall quilt Free Flowers. It just wouldn’t be the same without the orange and the pink. 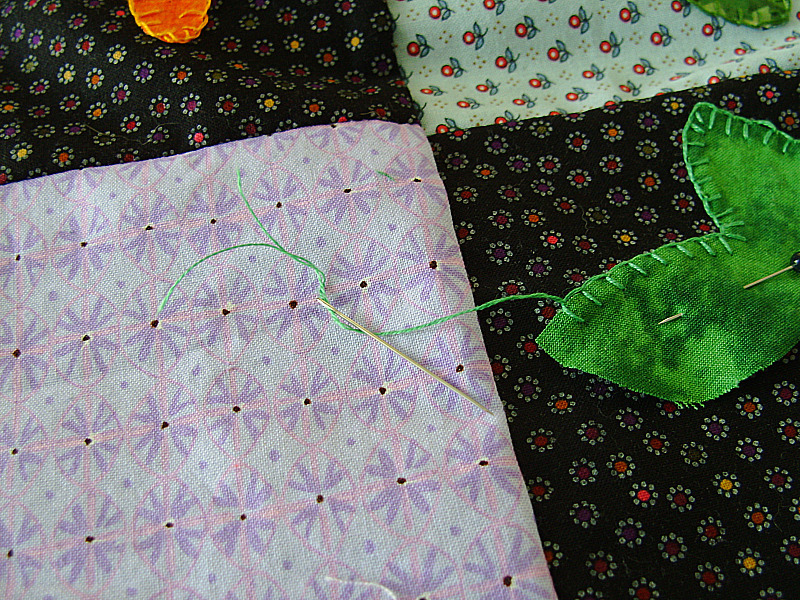 When I pulled fabrics for the blocks in my book Growing Hearts to Appliqué, I mixed orange into the reds. One of my very favorite color combinations is orangey-red and tealy blue. 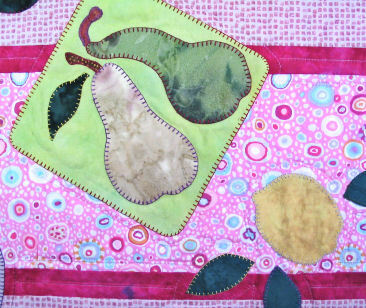 Can you see it in this quilt block? They’re opposite each other on the color wheel, so they’re complimentary, and they look fabulous together. 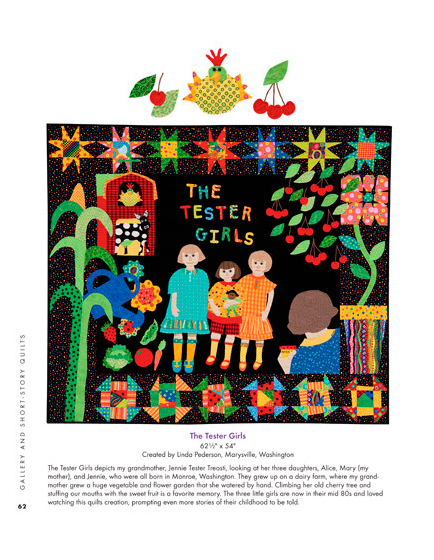 Last year I stopped by In Stitches, an exceedingly cute quilt shop in Red Buff, California. 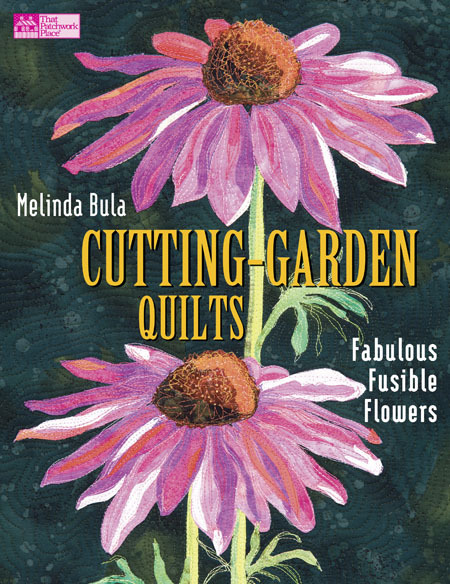 The owner, Erda Fleming, told me that they had a program whereby the first fabric purchased by a customer would become the Bolt of the Day. I was the first one in the door so I got to proclaim the Bolt of the Day. Here’s what I chose. Note the orangey-red and tealy blue. No wonder it was my favorite! When I designed the cover for Growing Hearts I used this color combo too. Have you guessed it? 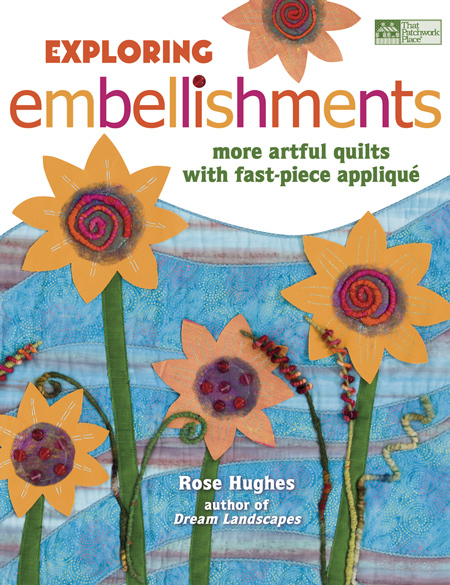 This book is my giveaway for the OP Challenge! 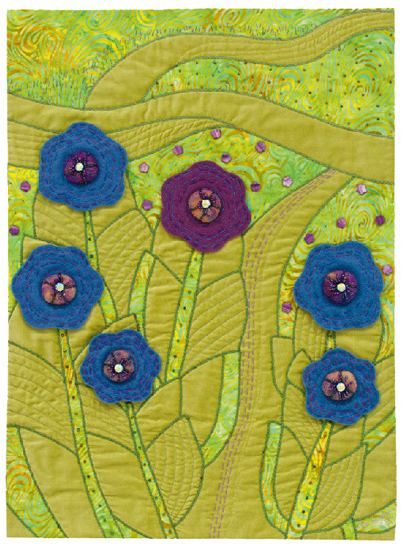 Leave a comment on this post to enter the drawing for Growing Hearts to Appliqué. The winner will be drawn this evening, California time. 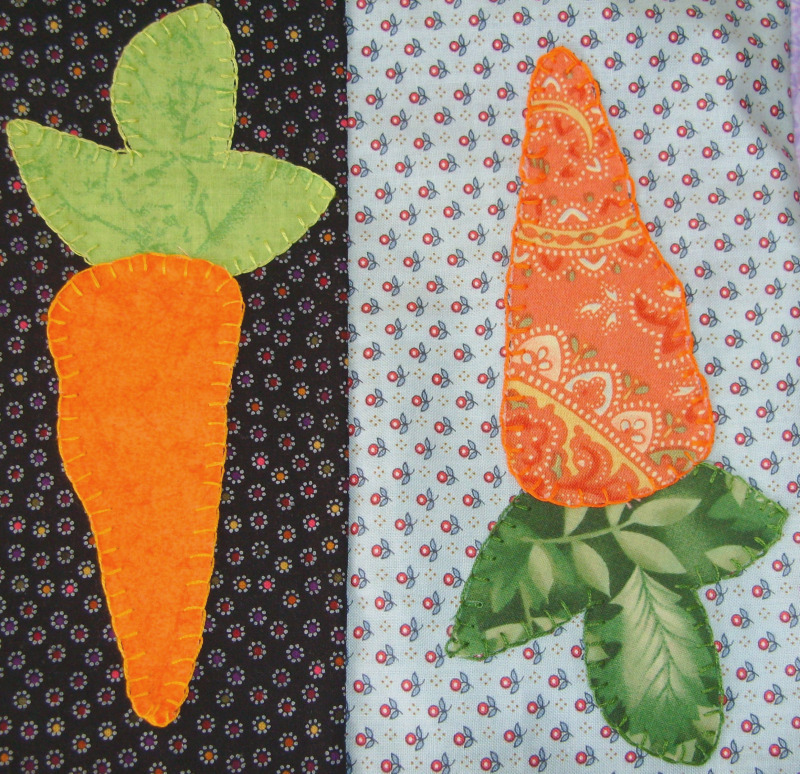 Don’t forget to visit Pat Sloan’s blog for the rest of her virtual weekend retreat on all quilty things orange! 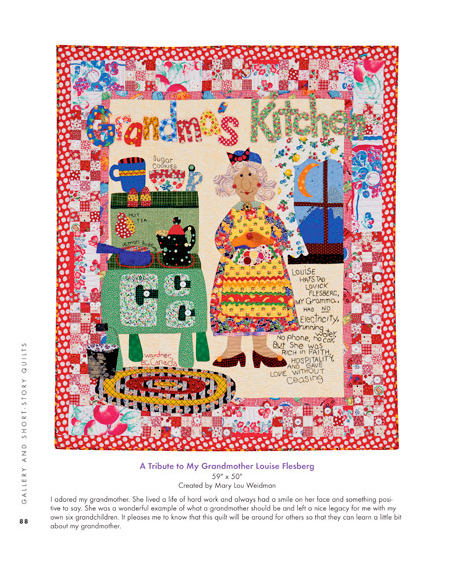 Fabulous quilt designer Pat Sloan has put forth an OP Challenge. What’s an OP? Orange Pile! Your pile of orange fabric from your stash! How fun. 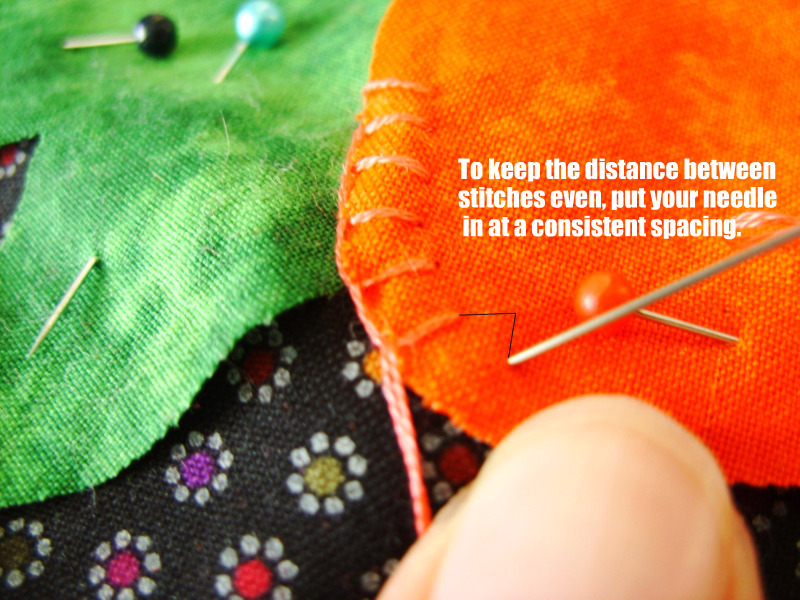 Pat has already started putting up some notes for quilters who are participating in the challenge. If you’d like to join in the fun and “orange along,” just click the OP logo in the sidebar for all the information. As part of the OP Challenge, Pat is hosting a virtual weekend retreat from Friday, February 20, through Sunday, February 22. 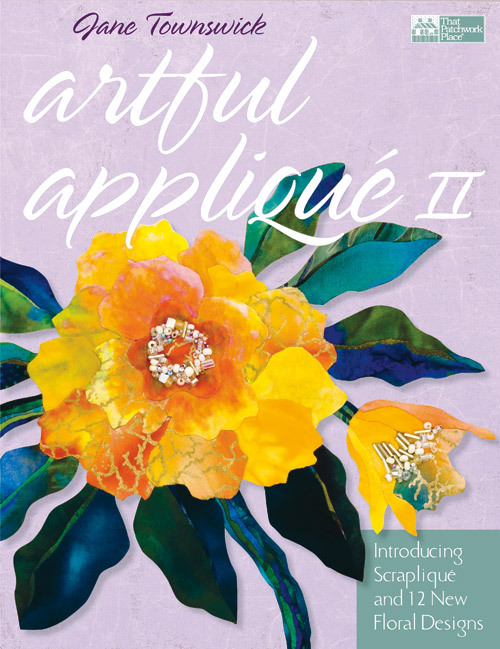 There’ll be a blog hop with prize giveaways, a free block pattern, photos of work in progress, and a tutorial. It should be great fun, as it seems Pat really knows how to throw a party! I’ll be one of the bloggers on the hop and I’m already planning my prize giveaway. Here’s my Orange Pile. I like orange. This doesn’t even show the orangey-reds. My 6th Grade Shoes by Penelope Tucker and Ronda K. Beyer was another one of my favorite quilts at PIQF. That’s putting it mildly. Actually I had a little “moment” when I saw it. See, what you don’t know is that this design is one of my all-time most worshipped. 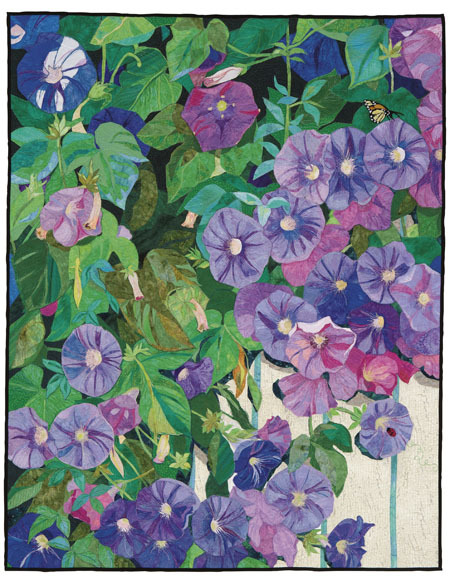 The blocks are from Fairmeadow by Jeana Kimball, a quilt that completely captivated me as an early quilter. Here’s my Fairmeadow book from like 15 years ago, long out of print, battered, scuffed, and much loved. 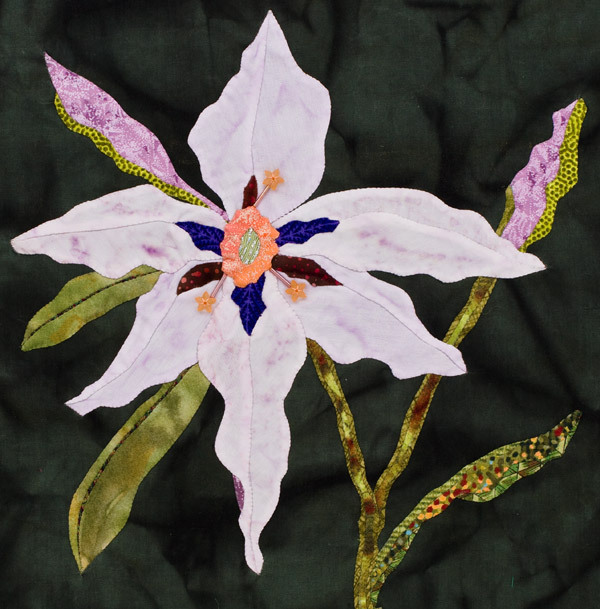 I made my own Fairmeadow back then, slavishly collecting fabrics that replicated Jeana’s as closely as possible, and enjoyed every minute of the appliqué. 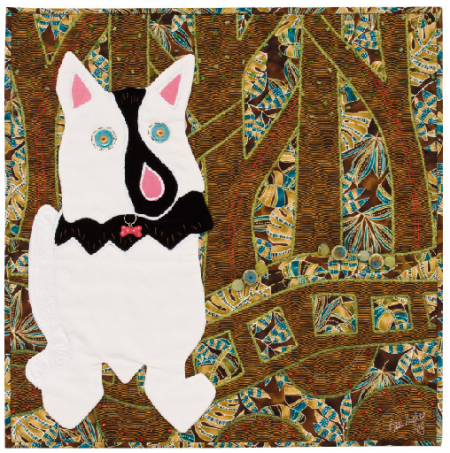 And guess what… this quilt won the PIQF 2008 award for Best Machine Workmanship! Congratulations Ronda! And thank you, Penny, for making this delightful rendition of the the blocks. 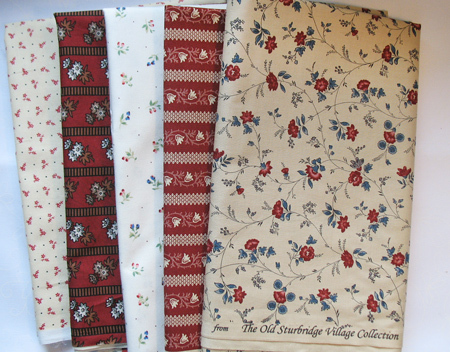 Here are just a couple, and you can see the incredible quilting.